Exercising regularly can help you reduce your risk of cancer. Any exercise that makes you out of puff is good and try for 30 minutes/5 times per week at least. Being active every day, something as simple as a walk, is proven to have a positive impact-not only on your risk of cancer but also on your overall physical and mental health. 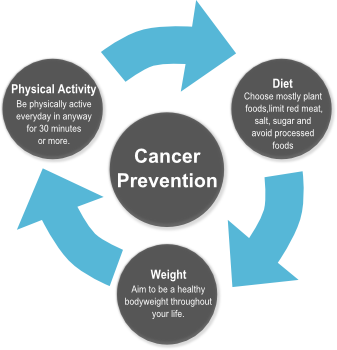 If you are concerned about appropriate exercise speak to your GP or call the Irish Cancer Society’s National Cancer Helpline on Freephone 1800 200 700 to talk to a specialist cancer nurse.